Christmas is a time for giving, receiving, sharing and loving. It’s a time for communities to come together and doing your bit to help others – so it’s no wonder this group of young Muslim volunteers are being lauded for a touching act of kindness. 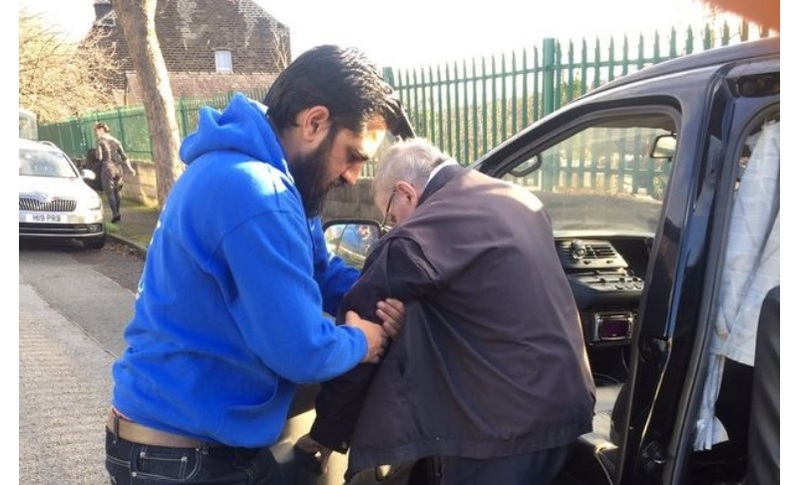 A group of young Muslim volunteers decided to ensure 100 elderly people in Yorkshire got the best Christmas Day possible – by putting on a FREE taxi service. The heartwarming act saw 25 Ahmadiyya Muslim Youth Association (AMYA) members in Huddersfield shepherd pensioners from a care home to the town centre, so they could tuck into a free Christmas dinner. According to our sister title the Huddersfield Examiner, the group helped serve Christmas dinner and hand out presents when they got there. And the group has spent the run up to Christmas giving out chocolate and fruit to care home residents, as well as at Kirkwood Hospice and Calderdale Royal Hospital. Nadeem Ahmed, the regional Youth Leader of Yorkshire, said: “It was such an honour to extend a helping hand and to bring a smile to the faces of so many people. “We felt like a family with the people we helped and that is how they felt too. Robert Iredale, who helped organise the dinner at Milnsbridge Village Hall, said: “We had about 30 people and they all had a smashing time. One woman said she’d been invited to family but she came to us to see her friends. “As an organiser the Ahmadiyya Muslims make my job easy! It is a great big help.